Download "Contents. 04 What is asbestos? 05 How we manage asbestos. 08 Are you at risk? 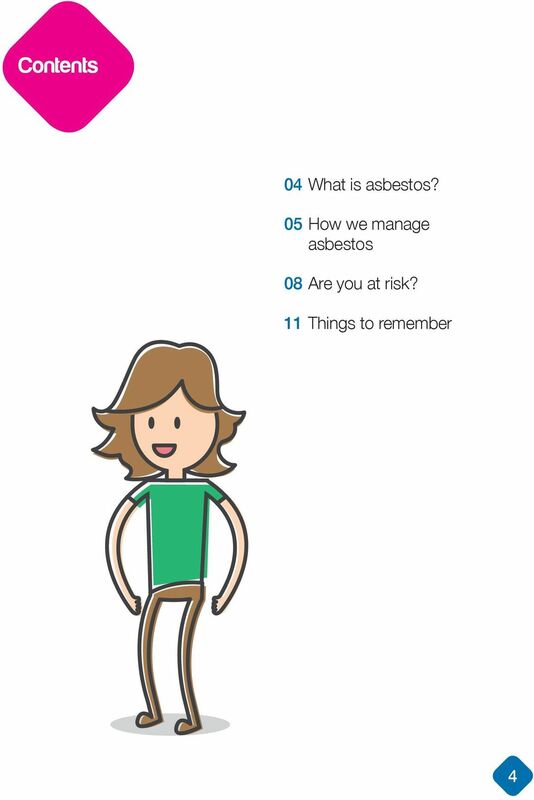 11 Things to remember"
1 Asbestos advice This guide explains what asbestos is, why it might be a problem, where it might be found, how we survey your home for it and how to deal with asbestos. 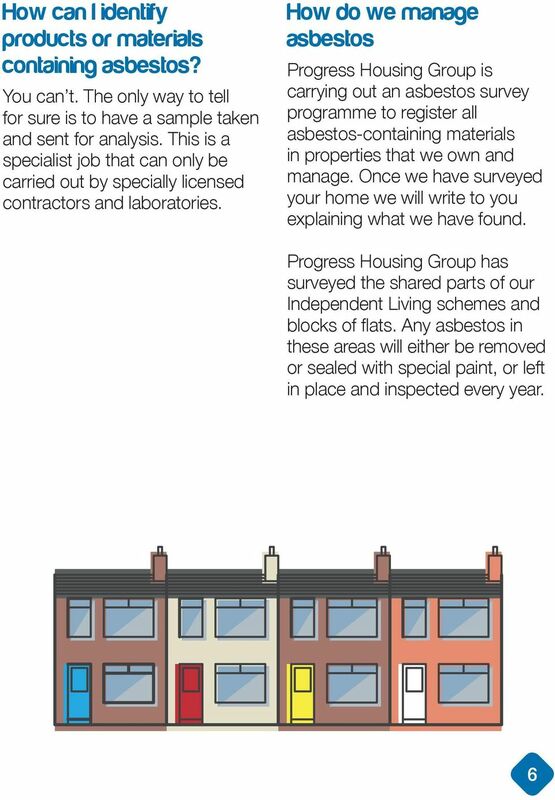 Asbestos Information and advice for residents Asbestos Information and advice for residents Introduction This leaflet gives you important information on how we manage asbestos which may be in your home. Your guide to Asbestos Home safety information for tenants. Better homes, better lives What is asbestos? 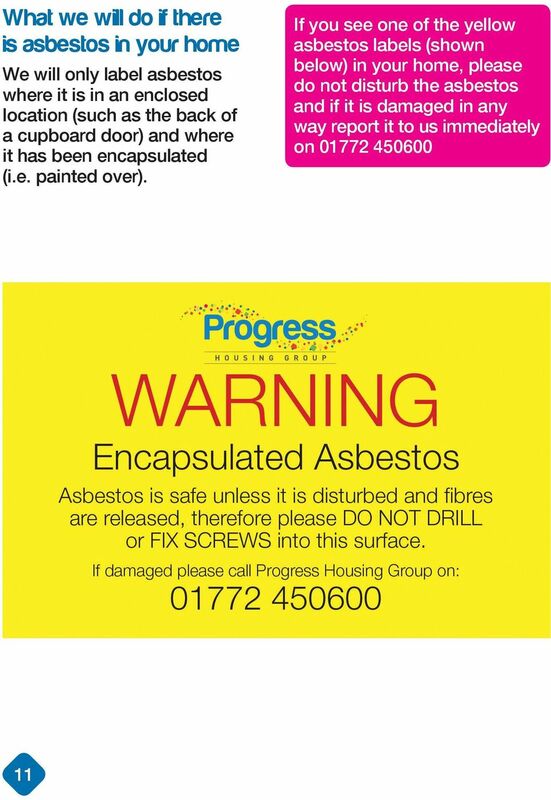 Asbestos is a material made up of strong fibres which are resistant to both heat and chemicals. 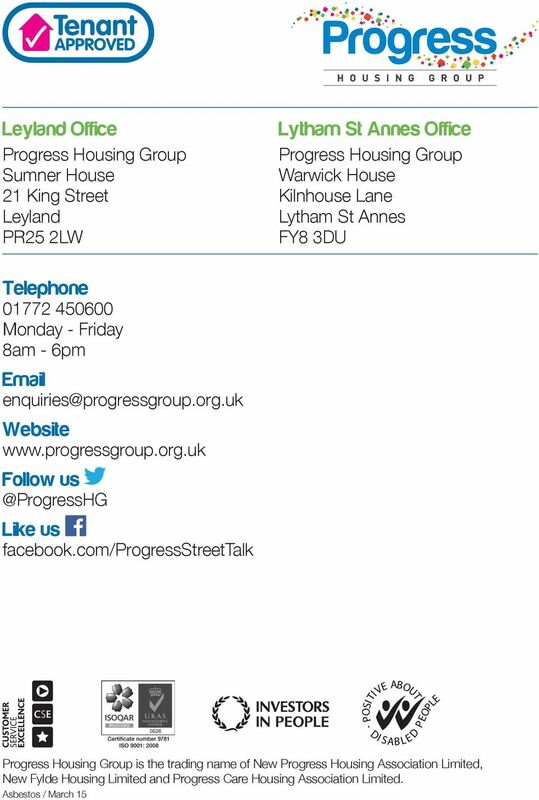 Property Services information sheet - number 3. Asbestos. December 2008 rev 1. 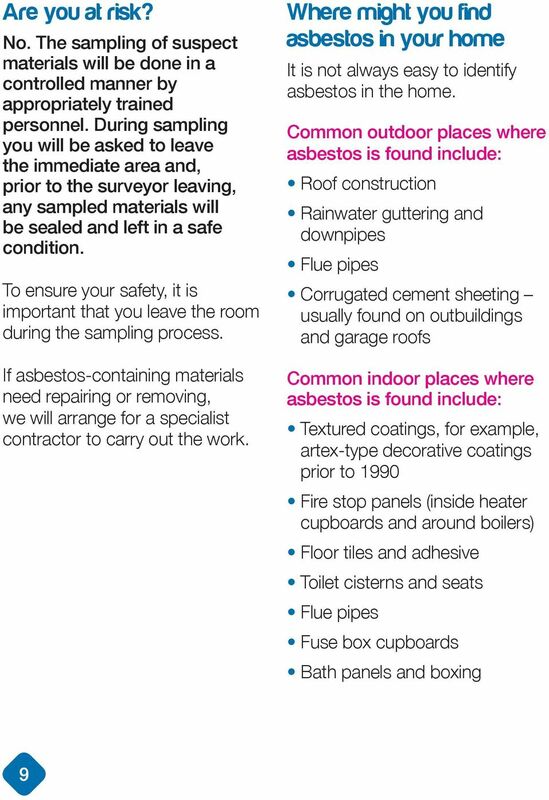 You may have materials that contain asbestos in your house. Regulatory Services. Asbestos in the Home. What is asbestos? 'ENV/::M:R TRANSPORT REG/ONS. 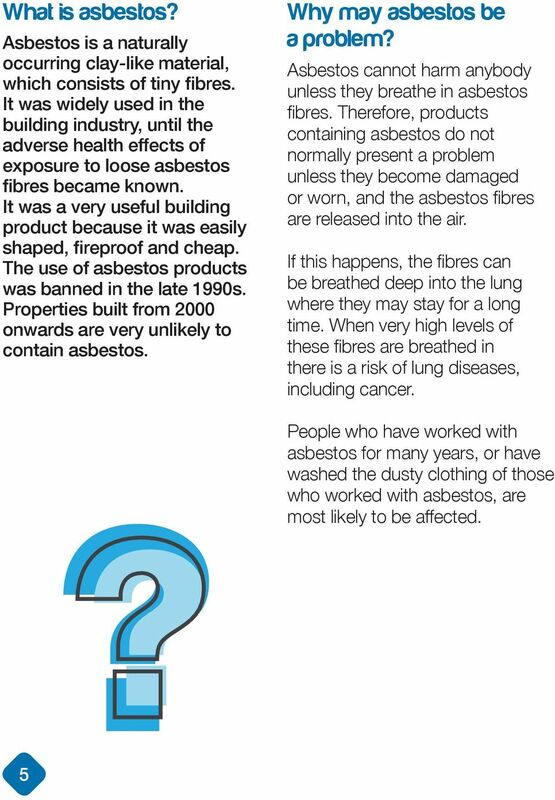 FactsaboutAsbestos- whereit may be usedandwhatto do if youfind it. 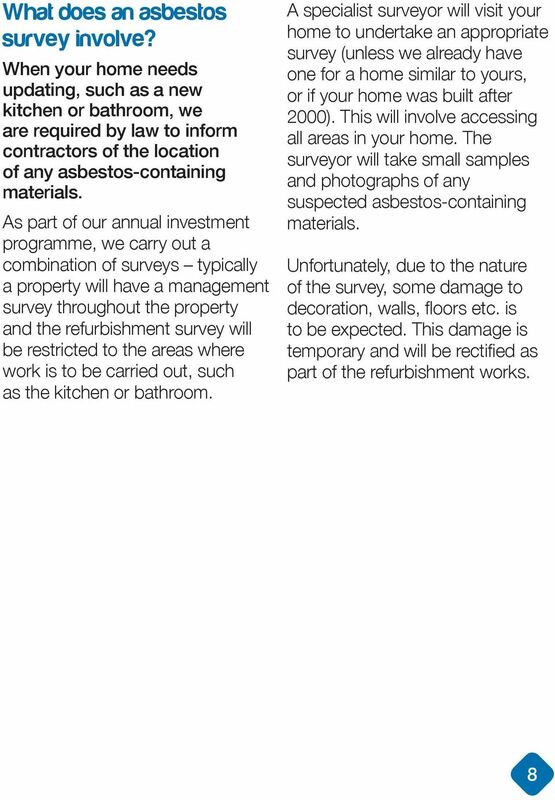 Tenants` Asbestos Handbook Guide Tenants` advice for asbestos in the home What is Asbestos? Asbestos is a naturally occurring mineral which can be found in rocks all over the word, including Scotland. Asbestos is found naturally in rock formations around the world. It is made up of lots of small fibres. 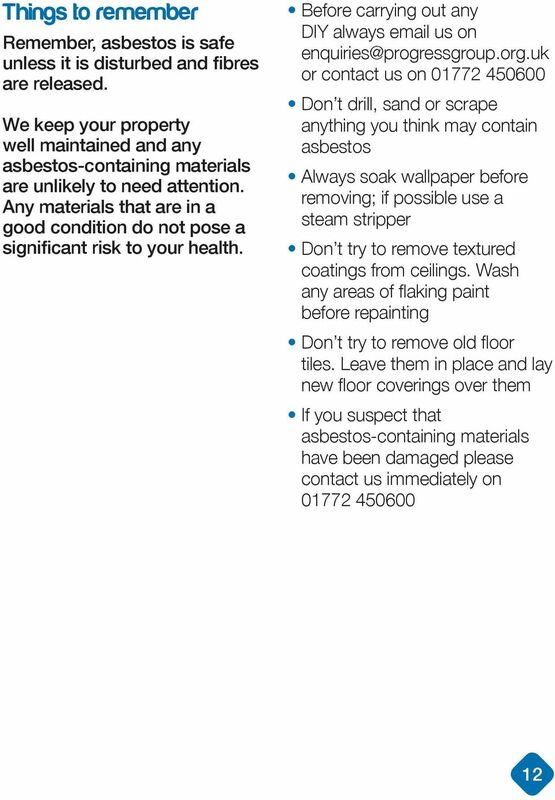 Your Guide to Asbestos March 2010 Many people worry about the health risks of asbestos, but as long as it is not damaged it is unlikely to cause problems. 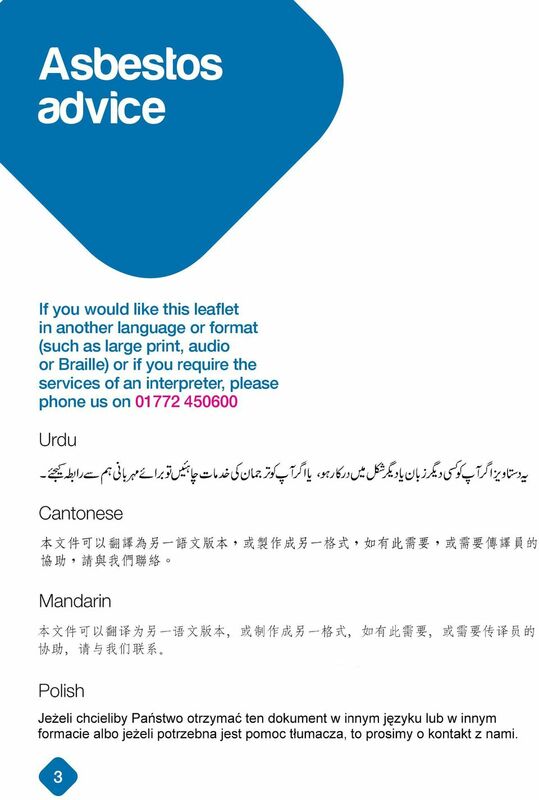 This booklet tells you what you need to know. 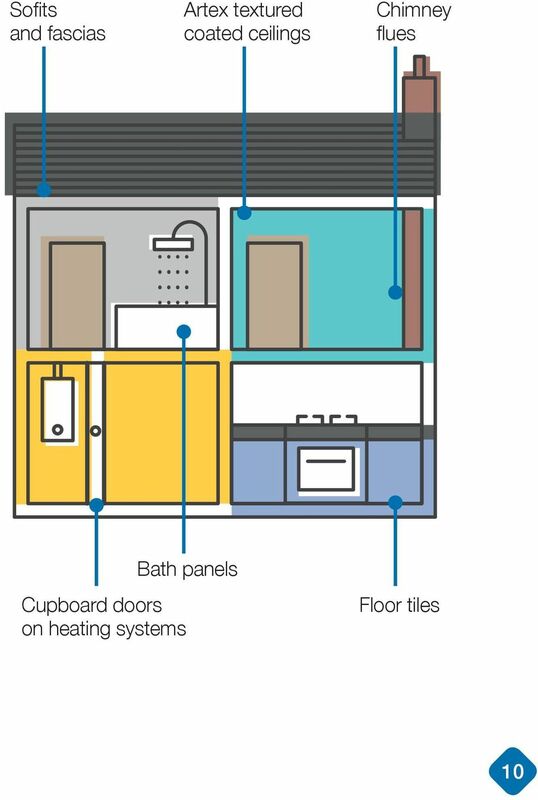 Before you start DIY or refurbishments in your home THINK! Manage buildings? You must manage asbestos. Manage buildings? You must manage asbestos. 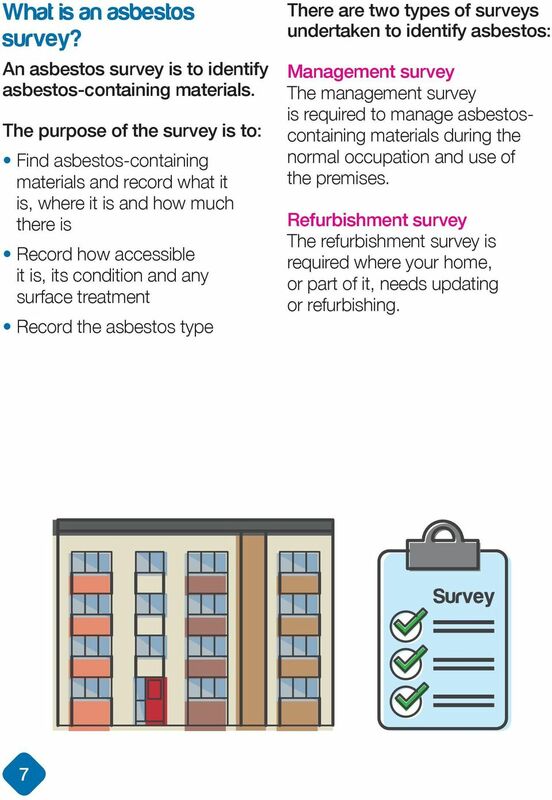 Why manage asbestos? Manage buildings? 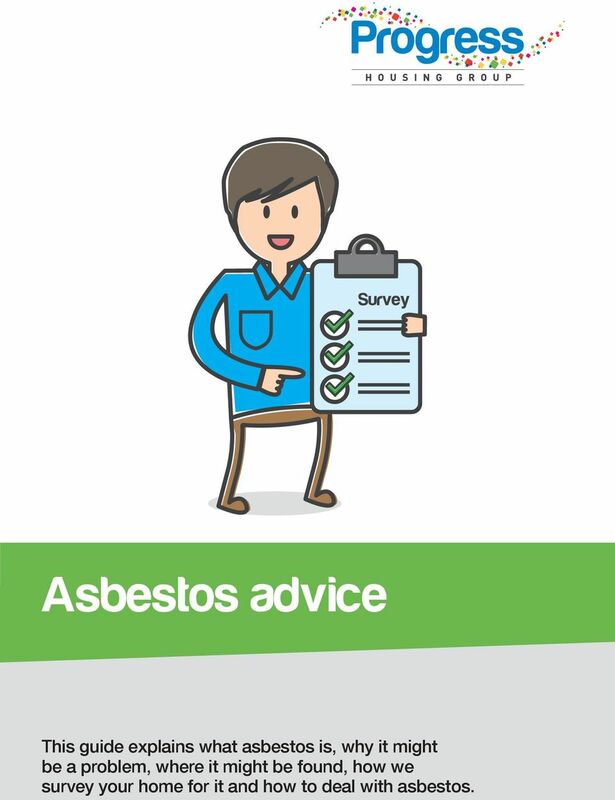 You must manage asbestos Why manage asbestos? Manage buildings? You must manage asbestos Asbestos must be properly managed to prevent people dying from asbestos diseases in the future. Airborne asbestos is a serious health hazard.